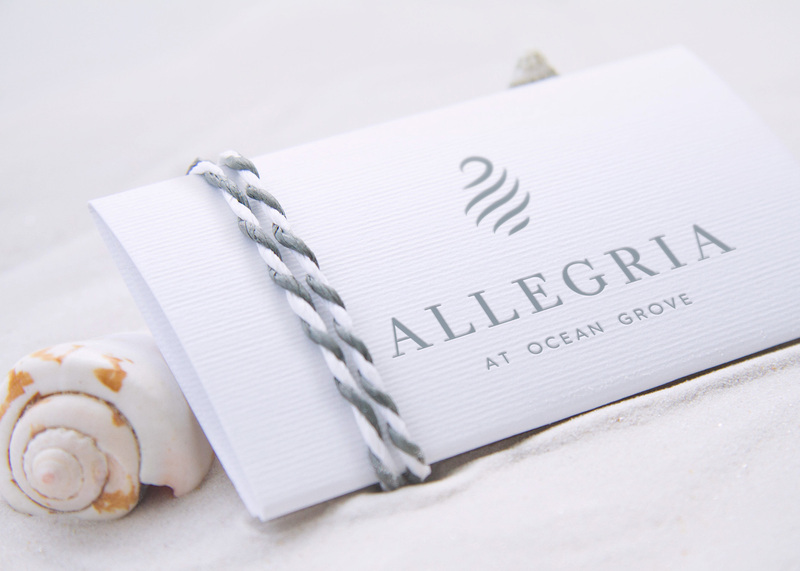 Allegria at Ocean Grove is an upscale, senior living facility located just minutes from the waterfront. 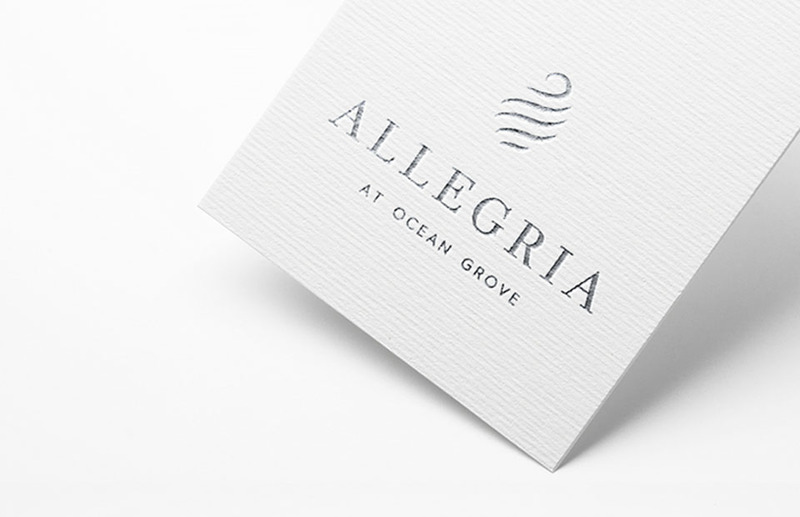 We created a brand that marks Allegria as a luxurious choice, while highlighting its beach-side location. 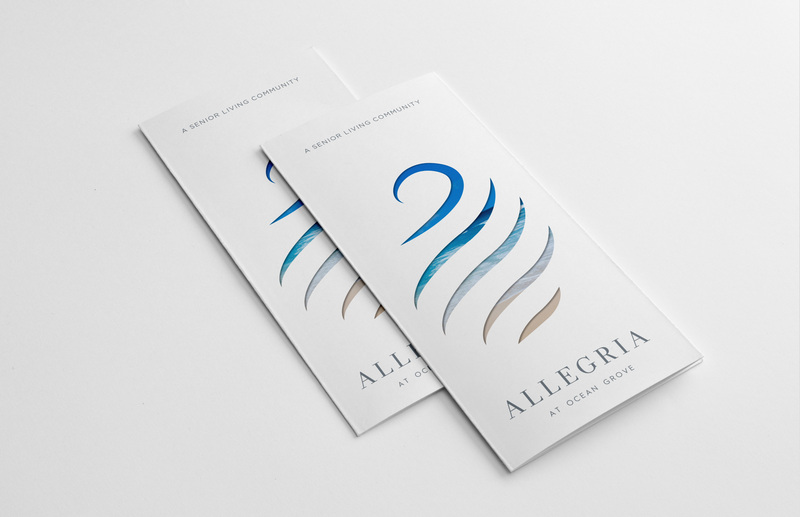 The abstract seashell logo is comprised of modern brush strokes reminiscent of ocean waves. 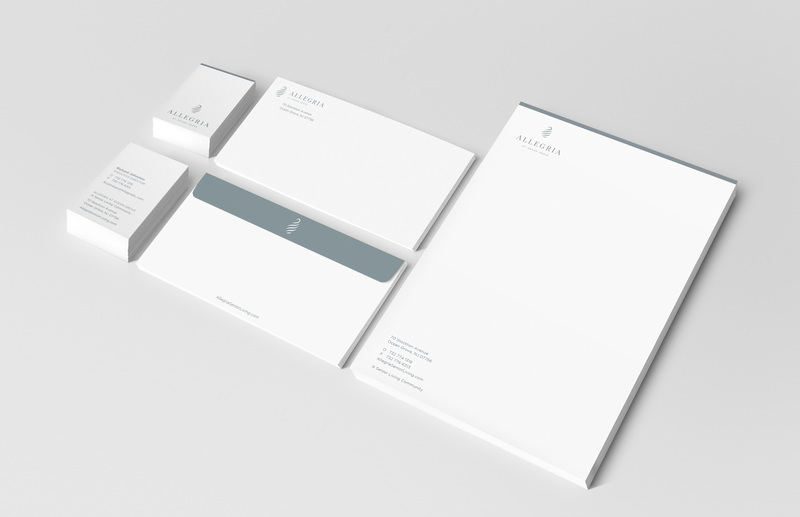 The mark is elegant, high end and memorable. 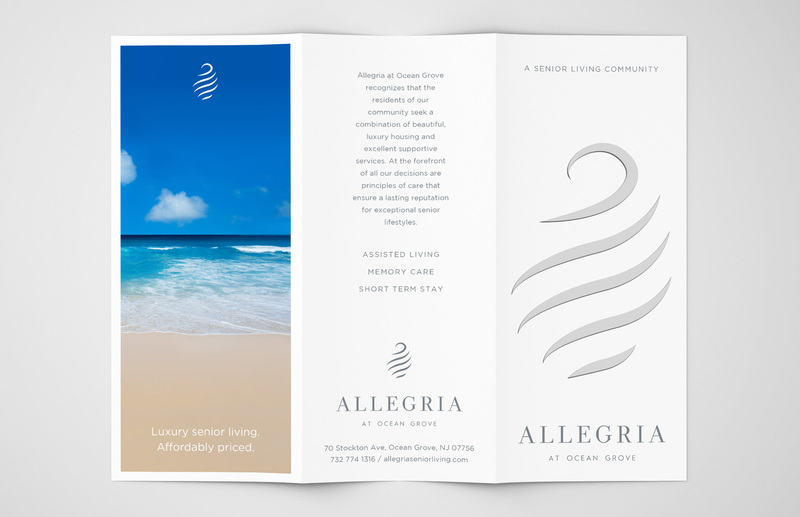 Our carefully crafted marketing collateral combines white with soft accent colors and vibrant images to exude warmth and sophistication. 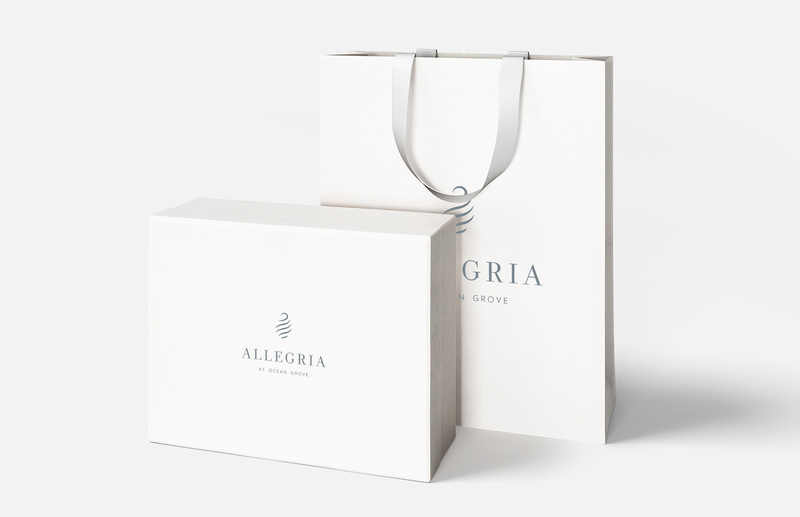 The Allegria website has been flawlessly cultivated to perfectly complement their brand. 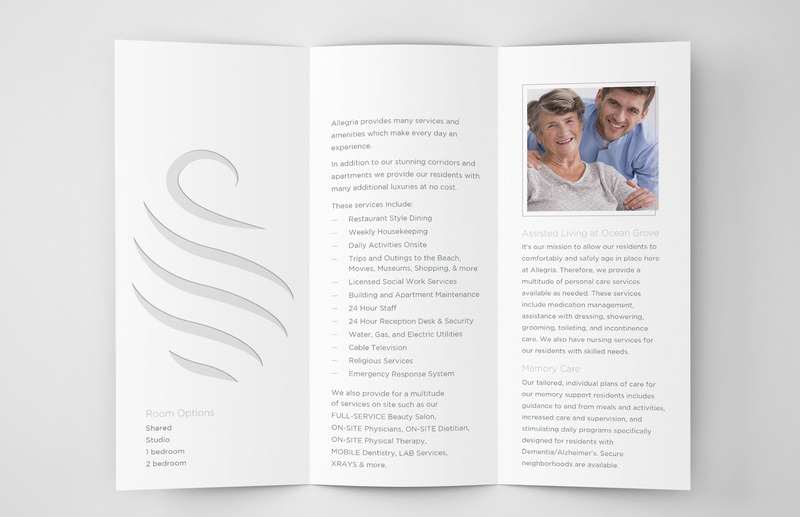 Using minimalist design, bright images and clean, modern typefaces we have created a magnificent, state-of-the-art website with a unique, luxurious touch.